The Restorative Medicine Herbal Certification Program will present topics related to four modules from the program: Cardiology; Neurology and Neurotransmitters; Gastroenterology; and Immunology and Autoimmune. Attendees will earn up to 17 CME credits towards their Restorative Medicine Herbal Certificate. Herbs for the prevention and treatment of cardiovascular conditions, including hypertension, arrythmia, and coronary heart disease. Herbs to treat metabolic syndrome and control blood sugar levels, to prevent cardiovascular disease and obesity. Review of the sympathomedullary pathways (SAM) and the hypothalamic- pituitary- adrenal (HPA) axis. Herbal strategies to reduce neuroinflammation, neurodegeneration and balance the neuroimmune system. Herb applications for enhancing the gut microbiome, repair leaky gut, and enhance the gut-brain axis. Case studies will be presented for all modules. Dr. Hobbs will provide a brief overview of cardiovascular conditions, including hypertension, arrythmias, congestive heart failure, coronary heart disease, stroke, varicosities, clotting disorders and hypercholesterolemia. He will provide a review of evidence- based herbs for treatment and prevention of the listed cardiovascular conditions. He will explain the herbal mechanism of action, active constituents, dosage, contraindications, and review of safety issues for each herb. Relevant research studies will be reviewed and critically evaluated. Clinical applications for reviewed herbs will be presented, along with relevant lifestyle and diet recommendations. Dr. Hobbs will provide a brief overview of blood glucose control issues, including insulin resistance, diabetes, hypoglycemia, and related conditions of metabolic syndrome and obesity. He will provide a review of evidence- based herbs for treatment and prevention of the above listed conditions. He will explain the herbal mechanism of action, active constituents, dosage, contraindications, and review of safety issues for each herb. Relevant research studies will be reviewed and critically evaluated. Clinical applications for reviewed herbs will be presented, along with specific lifestyle and diet recommendations which should be implemented. Dr. Lindrooth will provide a brief overview of neurodegenerative diseases, chronic neurological conditions, neuroinflammation, neurotransmitter imbalances, and the neuroimmune system. The sympathomedullary pathways (SAM) and the hypothalamic- pituitary- adrenal axis will be reviewed, as well as strategies to reduce neuroinflammation triggered by the stress response system. She will provide a review of evidence- based herbs for treatment and prevention of the listed neurological conditions. She will explain the herbal mechanism of action, active constituents, dosage, contraindications, and review of safety issues for each herb. Relevant research studies will be reviewed and critically evaluated. Clinical applications for reviewed herbs will be presented, along with specific lifestyle and diet recommendations which should be implemented. The immune system is an asset for disease prevention, but when it is overactive it can lead to allergies and inflammation, and when it fails to recognize self, autoimmunity can occur. This module will address allergies, inflammation, autoimmune conditions and neuro-autoimmunity. Dr. Lindrooth will provide a review of evidence-based herbs for treatment and prevention of these immune-related conditions. She will explain the herbal mechanism of action, active constituents, dosage, contraindications, and review of safety issues for each herb. Relevant research studies will be reviewed and critically evaluated. Clinical applications for reviewed herbs will be presented, along with specific lifestyle and diet recommendations which should be implemented. Dr. Bove will provide a brief overview of gastrointestinal disorders, including inflammatory bowel diseases, gut microbiome imbalances, GI infections, SIBO, digestive enzyme deficiency, the gut-brain axis, and constipation. She will provide a review of evidence- based herbs for treatment and prevention of the listed gastrointestinal conditions. She will explain the herbal mechanism of action, active constituents, dosage, contraindications, and review of safety issues for each herb. Relevant research studies will be reviewed and critically evaluated. Clinical applications for reviewed herbs will be presented, along with specific lifestyle and diet recommendations which should be implemented. Earn up to 17 CME. CME credit approval through AAFP (American Academy of Family Physicians) and PACE (Providers of Approved Continuing Education) for chiropractors. This Live activity, 2019 Spring Herb Conference, from 05/14/2019 – 05/16/2019, has been reviewed and is acceptable for up to 17.00 Prescribed credit(s) by the American Academy of Family Physicians. Physicians should claim only the credit commensurate with the extent of their participation in the activity. Established in 1938, the 83-acre Fairchild Tropical Botanic Garden is one of the premier conservation and education-based gardens in the world and a recognized international leader in both Florida and international conservation. Currently, Fairchild has field programs in over 20 countries including support to protected areas in Madagascar and Africa and botanic garden development and renovation projects in South and Central America, the Caribbean and the Middle East. 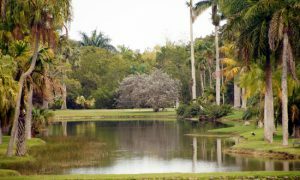 Fairchild also has one of the world’s greatest living collection of palms and cycads. With 45,000 members and over 1,200 volunteers, Fairchild plays many roles, including museum, laboratory, learning center and conservation research facility, but its greatest role is preserving biodiversity, which the garden’s scientists, staff and volunteers all contribute to on a daily basis. In 2012, Fairchild also became the home of the American Orchid Society. Airport: The Fairchild Tropical Botanic Garden is 8 miles south of Miami International Airport, about a 25-minute drive (depending on traffic). Hotel: Enrollees can stay at the hotel of their choice. A discount rate at a nearby hotel will be posted here soon. Copyright 2018, Association for the Advancement of Restorative Medicine, Inc.